New York-based Chilean designer Sebastian Errazuriz is known for thinking way outside the box. Always on the look-out for interesting materials, he aims to strike a balance of artistic and practical qualities of design, and his sense of humor often ends up in the mix. 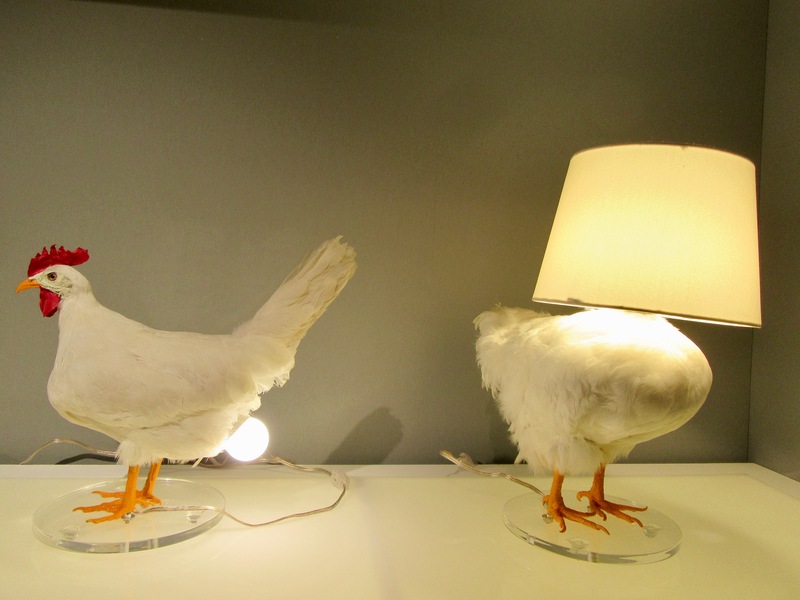 In this case, Errazuriz obtained the bodies of taxidermy chickens (which died of natural causes) to create these fun and unique Chicken Lamps. Who says upcycling has to be dull? 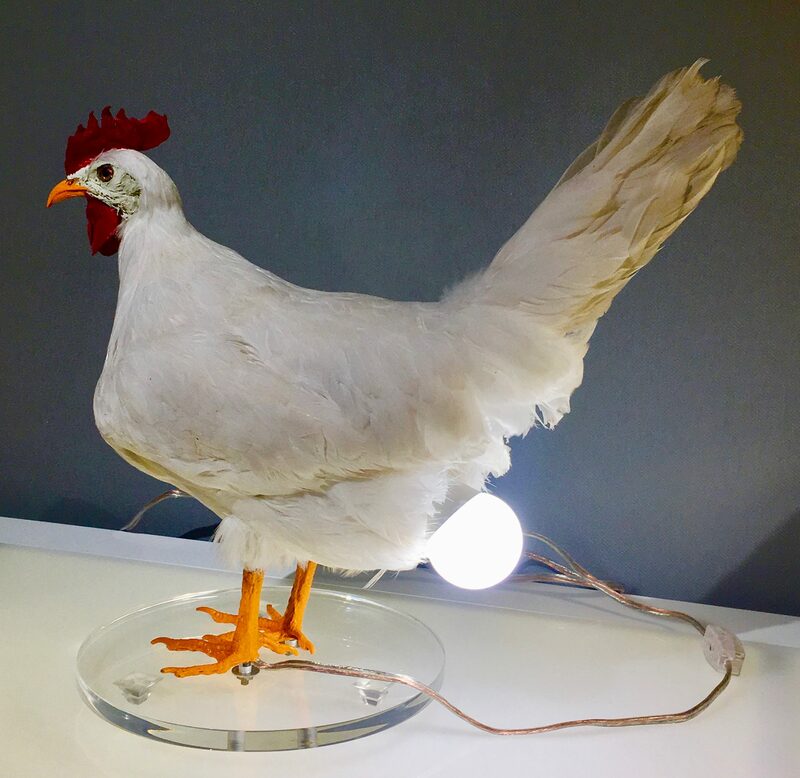 In one model, the light bulb is seen emerging from the bird’s hindquarters, just as an egg would. 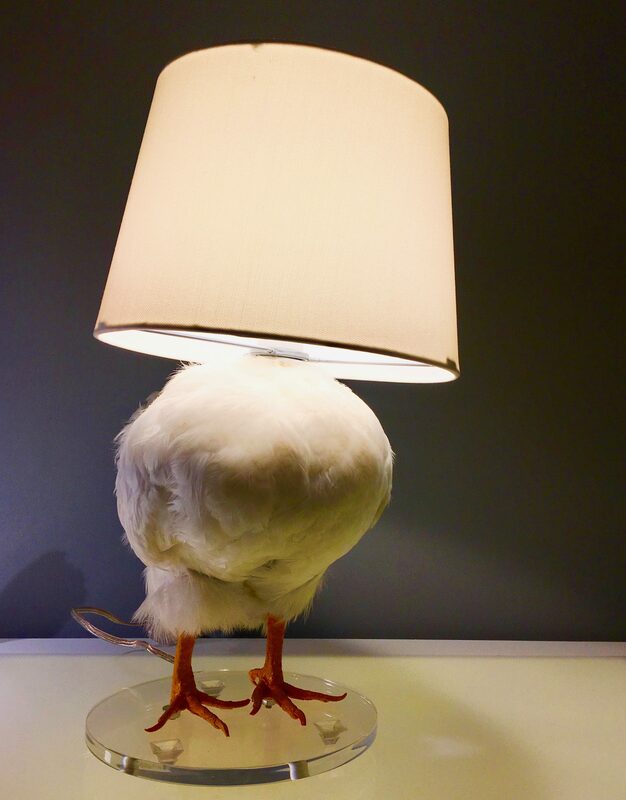 In an alternate design, the chicken’s head has been replaced by the light bulb. 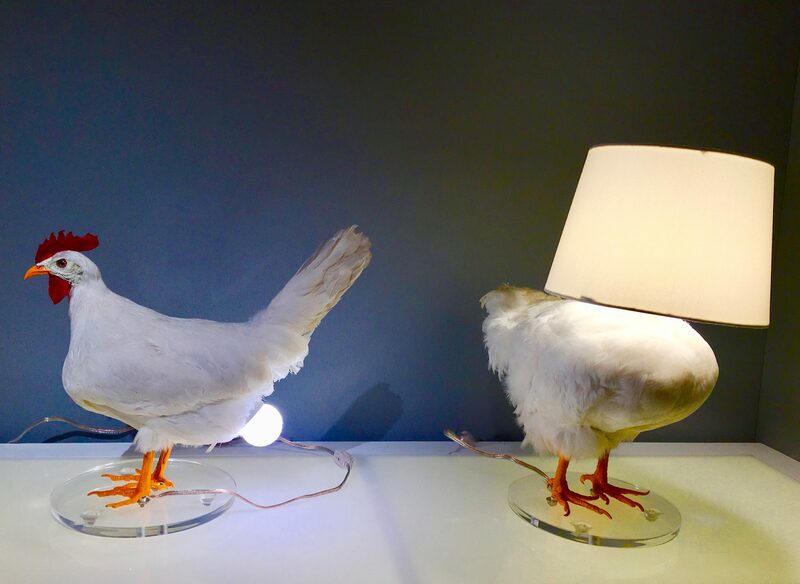 These lamps stand on the chicken’s two feet, mounted on a plexiglass disc. Available from R and Company. Photographed at The Salon Art and Design at the Park Avenue Armory in NYC.